Discussion in 'All Terrain Vehicles' started by Unknown, Oct 25, 2010.
oh is that the track at gorman? me too, I haven't even taken my KTM to the track yet and I've had it for over almost 2 years lol. Im all offroad. Im all trails, hince the full handuards, big tank, scotts damper, etc... . Here a pic of my rare track day. Talk about a fish out of water. Not to brag but my crew and I are pretty advanced trail riders. Get me on a moto track= spode! 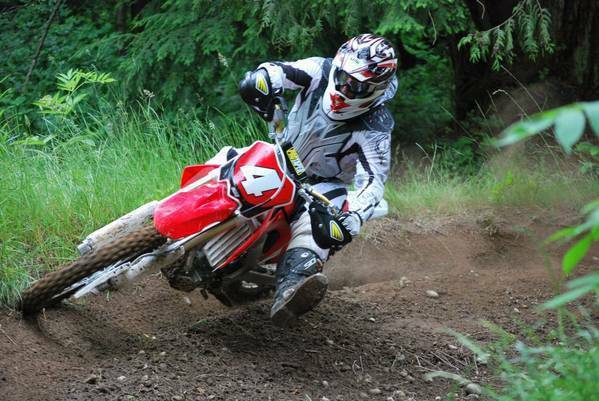 i use to ride streetbikes but new to motocross, "Its a whole different game"
Looking good!!! Practice makes perfect!!! I am also new to MX. Never had any motorcycle experience before this. Used to BMX back in jr. high and high school but thats as close as I got with it. I am in love with MX though now!!! Here's me a few weeks ago.